We are a leading Manufacturer of continuous deodoriser, edible oil refinery plant, veg oil refinery plant, dewaxing plant, oil distillation plant and degumming and neutralisation and washing plant from Pune, India. 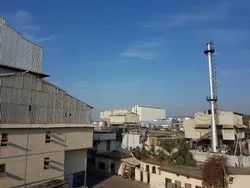 State Of Art Of Continuous Deodorisation Plant, Deodorisation is the Final Stage of Refining to Remove Free Fatty Acids, Odour and Color Pigments to Produce Bland Oil with a Good Shelf Life. Brissun with an Experience of Fifteen Years in the Field of RICE BRAN oil & all Other Oils Deodorisation Has Perfected the art of deodorization. Deodorisation Process is Mixture of Packed Column and Tray Type Deodorisation Highly Efficient & Specially Designed Packing along with Specially designed Tray System Gives Oil Maximum Retention Time and maximum surface Area for Evaporation. Bleached and Dewaxed Oil enters the Dearation Vessel after heating By PHE, Oil is Sprayed in the vessel and air along with metal traces are removed, evaporated through Vaccum. Oil after dearation enters Regenerative Heater which is under vacuum Incoming oil is heated and Final Hot oil is cooled down, Maximum Heat recovery ( 80-85%) takes Place. Partially Heated Oil is fed to Vacuum Heater, where Oil is Heated By Thermal Fluid or High-Pressure Steam to 240-250 Deg C, FFA Removal Takes Place during Heating and the Oil flows under gravity to Distillation Column equipped with High Efficient Structured Packing which has a very low-Pressure drop. A maximum number of Distillation stages takes Place By counter current Flow of Oil & Vapours coming from Bottom. Oil after coming from packing is collected at Bottom and fed to Holding Vessel equipped with a number of trays, here Thermal Bleaching and deodorization take place. Here all the Bad odour and final traces of free fatty acids are removed. After all the deodorisation hot oil has to be cooled first in Economiser and Then By Cooler and PHE to about 45 deg C and sent for storage. Free fatty acid Vapours collected from deodorizer, Heater and Economiser are taken to scrubbing through central ducting and Scrubbed in Scrubbing column Having Structured Packing. Scrubbing is so designed that Traces of Fatty acid Carryover in a vacuum system and water is reduced to Zero level. 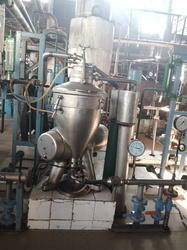 We are engaged in manufacturing Edible Oil Refinery Plant to our valued patrons. 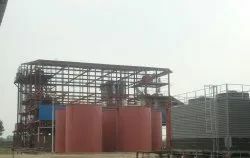 These plants are set up at the client's end by employing sophisticated machinery and raw materials that are procured from the most reputed vendors of the industry. These refineries are set for refining and removing any defects from the cooking oil. These plants are set up by our excellent work professionals who make sure to deliver a high range of products at the client's end. 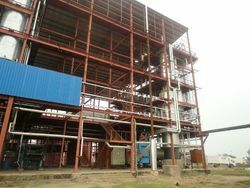 We Supply Turnkey Refining plants Veg Oil Refinery Plant to our clients. The product is made of best quality. 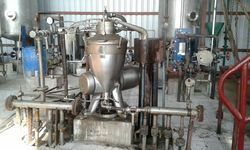 Dewaxing Plant is specially designed to suit the present market requirements of quality refined oils. The dewaxing plants are incorporated with intrinsically designed crystallises and maturation, which is specially made for very slow cooling with continuous agitation for better heat transfer. 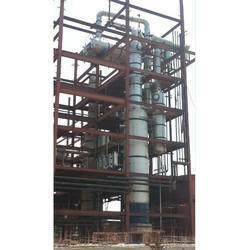 We Supply Turnkey Refining plants for Oil Distillation Plant. Application: Vegetable oils such as Soya Oil, Sunflower oil, Palm oil , Corn oil, and Rice Bran Oil. Capacity: ranging 25tpd to 500 tpd. The process has been developed which utilises the phenomenon that hydratable phospholipids contain polar groups which form a liquid crystal in connection with water. At slight above the ambient temperature, they form a laminar structure which are insoluble in oil and which are insoluble in oil and which are capable of absorbing other impurities. 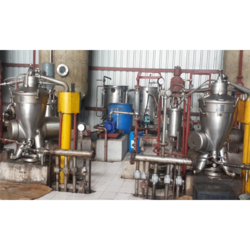 Degumming /Neutralisation and Washing Plant is made of best quality. In the Total Degumming process, Oil is mixed with Hot Water, Caustic Lye, Phosphoric Acid in Neutralise and is given proper retention time in a Retention tank so as to convert all Non-hydrated gums to Lyso form which forms more stable hydratable gums which can be separated out from the oil by centrifugation. Crude oil is pumped in a continuous and constant stream by pump heated/cooled to a required temperature in the plate heat exchanger, oil is mixed with control quantity of acid /Lye and Phosphoric Acid in a high Shear mixer and fed to the Neutraliser & then to retention tank . The oil – Acid mixer is retained for sufficient time properly condition the oil in Retention tank. The oil after conditioning heated to inactivate and help to separate with centrifugal separator where the oil and hydrated gums are separated. For Soya, Sunflower, Cotton seed Oil to attain Better Colour Neutralisation , Washing is to be done and there is a change in Process Parameters as per Quality and Type of Oils For Rice Bran Oil Specially Designed Enzymatic Degumming Plant is supplied by Brissun . 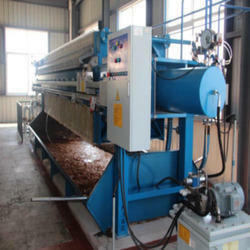 Especially Designed Process is Available To attain best results in Degumming and less Oil loss during degumming. Enzymatic degumming helps attain Better results during Deodorisation and producing Refined grade PHYSICALLY REFINED RICE BRAN OIL. After degumming oil sent to directly to Bleaching process. We Supply Turnkey Refining plants for vegetable oils such as Soya Oil, Sunflower oil, Palm oil , Corn oil, and Rice Bran Oil , for capacities ranging 25tpd to 500 tpd. The Continuous Bleaching Process is carried out to remove colour pigments residual phosphatase, metals, soaps and oxidation products using Bleaching Earth and activated Carbon as per requirement of Process. Bleaching Process is carried out in two stages in a continuous manner. In the First Stage, Oil is heated at 100 - 110 Celsius and mixed with Bleaching earth and kept at suitable temperature mixed with Bleaching Earth with mild agitation By specially Designed turbine Blades Agitator System under vacuum. Oil is Sprayed through Specially designed Nozzles Mixed with Bleaching earth and sufficient Retention time is Given to Attain maximum Possible Bleaching of oil. By spraying oil, moisture is removed in the vessel itself In second Stage oil slurry is Pumped to a set of Vertical Pressure Leaf Filters Where . two filters are used alternatively to Remove Oil From Bleaching Earth And Cake is Discharged through Bottom Actuated Butterfly Valve. After Filtration oil is circulated through Candle Type Polish Filters to Further polish the Oil Remove any traces of Particles. High Reduction in colour By Efficient Process. Highly efficient agitator, Low Power Consumption. Efficient Dosing of Bleaching earth in the Bleacher Vessel. Low Carryover of Bleaching Earth in the Vaccum System. Maximum Life of Filter Leaves. Low Loss of Oil in Spent Earth. We Supply Turnkey Refining plants for Cooking Oil Extraction Machine (Cooking Oil Refinery Plant). The product is made of best quality. 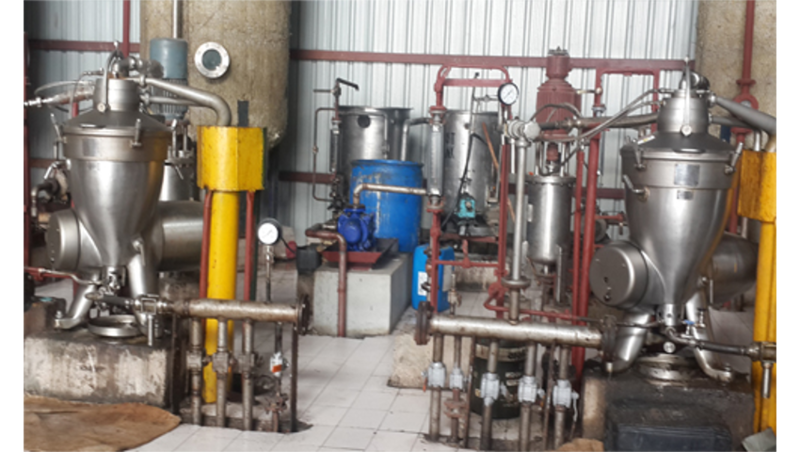 We Supply Turnkey Refining plants for the clients who require Vegetable Oil Refinery Equipment for their need. The equipment is made of best quality. 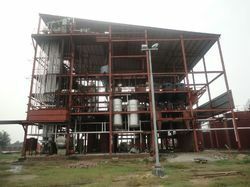 We Supply Palm Oil Refinery Plant. Application: Turnkey Refining plants for vegetable oils such as Soya Oil, Sunflower oil, Palm oil , Corn oil, and Rice Bran Oil. 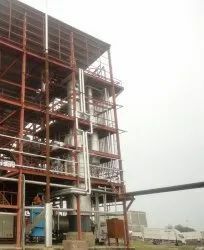 We Supply Turnkey Refining plants for Palm Oil Refinery. The product is made of best quality. We Supply Turnkey Refining plants for Vegetable Oil Refinery Plant. We Supply Turnkey Refining plants for Oil Processing Machinery. We Supply Turnkey Refining plants for Oil Centrifugal Machine.